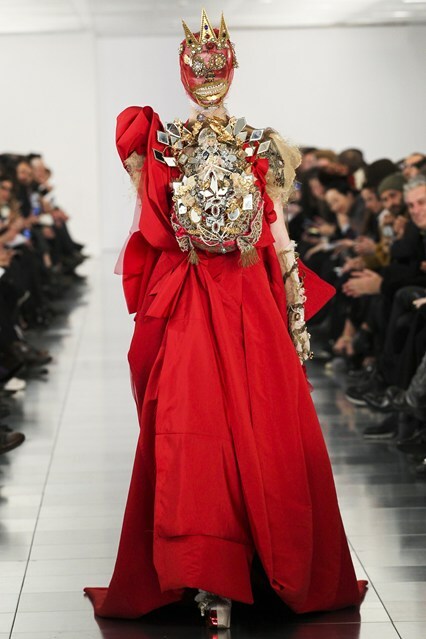 On this day in fashion history: the return of John Galliano! January 12, 2015 could prove a potentially historic event in fashion. That is, if the fashion community is ready to forgive and forget the wrong-doings of disgraced designer John Galliano. John Galliano at the Christian Dior s/s 2007 Haute Couture show at Paris Fashion Week. Today, marks the return of the controversial fashion designer with his debut haute couture collection for Maison Martin Margiela in London. According to Women’s Wear Daily, only a small selection of guests were invited to the see the collection, including Lanvin head designer Alber Elbaz, photographer Nick Knight, model Kate Moss, and Galliano’s longtime friend and supporter Vogue editor Anna Wintour. Galliano’s prolific career and incredible creative output as the head designer for the prestigious House of Dior (1996-2011) has been largely overshadowed by a 2011 incident in which the designer was filmed making drunken anti-Semitic remarks. 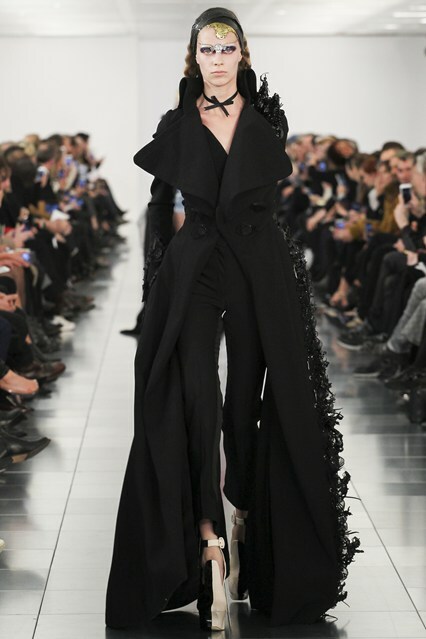 The event caused international outrage and led to Galliano’s immediate dismissal from Dior. Galliano has since apologized, blaming his outburst on alcoholism and drugs for which he has received treatment, but has otherwise largely remained out of the public eye. His three-week stint as a designer-in-residence for Oscar de la Renta’s Fall 2013 collection was the first hint that the fashion community might be willing to forgive the disgraced designer, an insinuation now underscored by his new position at the avant-garde house Margiela. The house is known for its colorful, often eccentric, approach to fashion design that champions the idea of recycling. 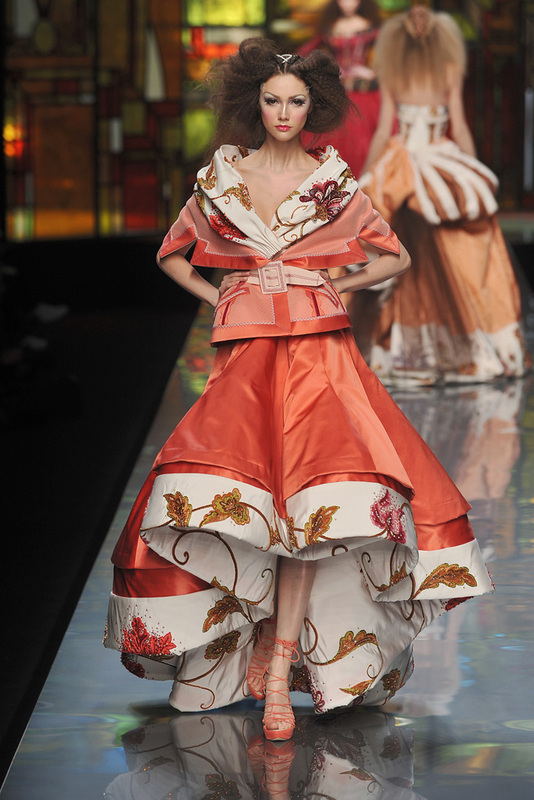 Thus, many of the designs are imbued with historical references–a speciality for which Galliano is known. 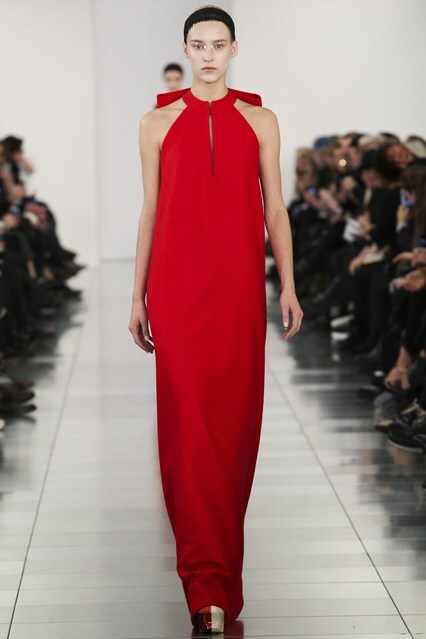 See the complete Menkes review and Galliano for Margiela collection at http://www.vogue.co.uk/news/2015/01/12/suzy-menkes-galliano-margiela.